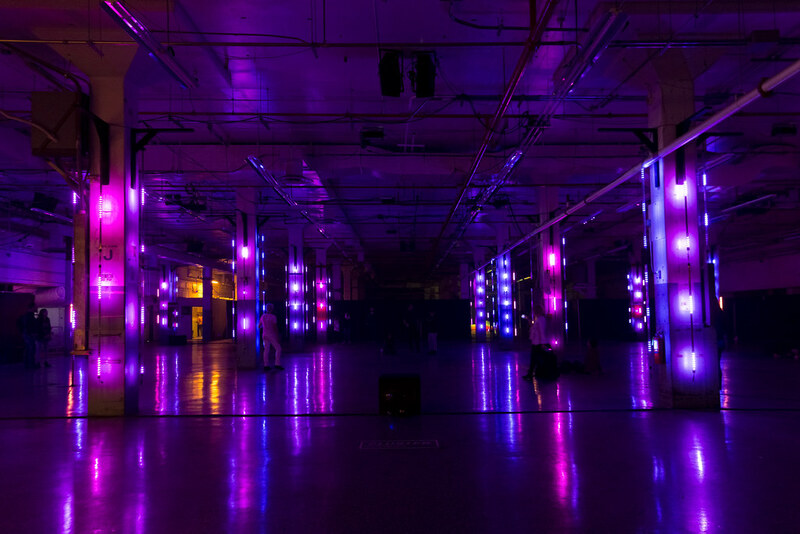 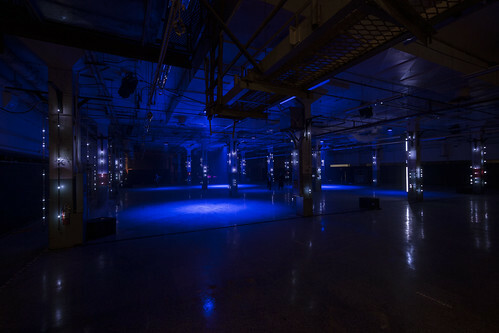 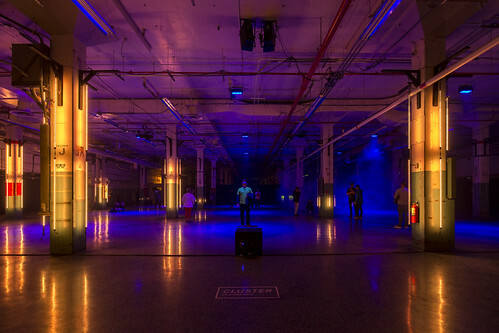 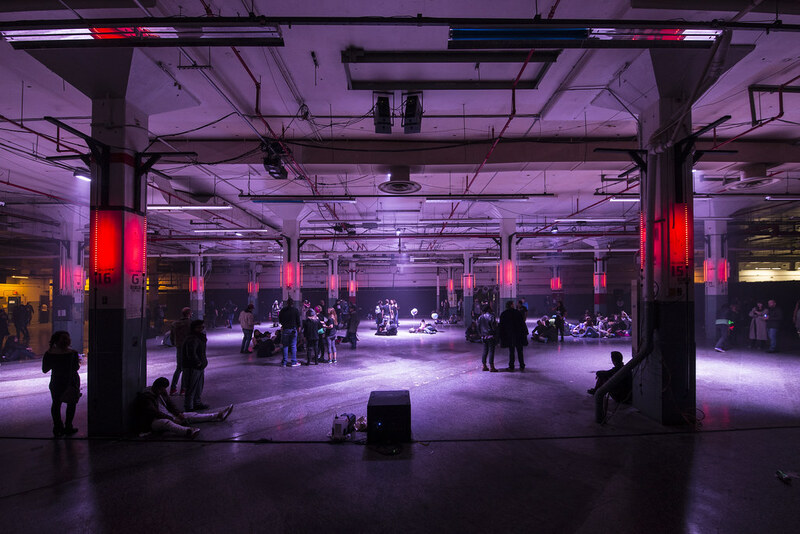 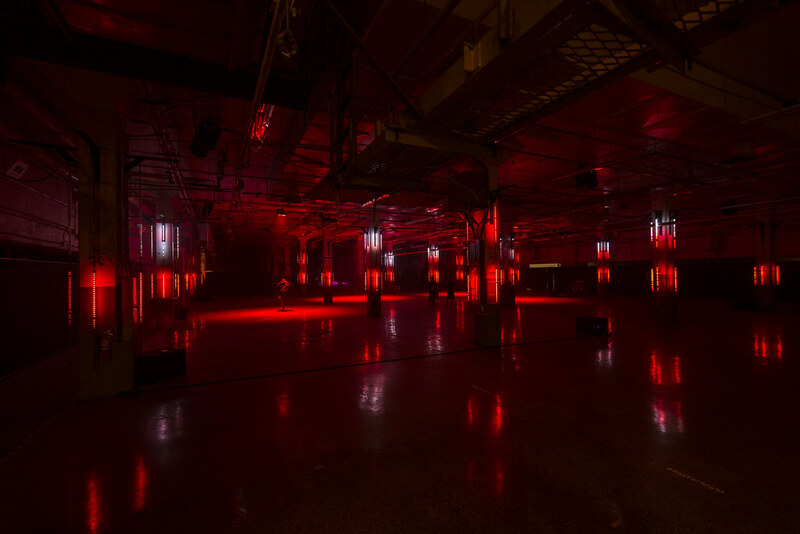 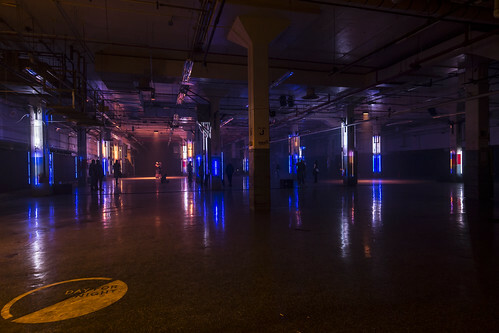 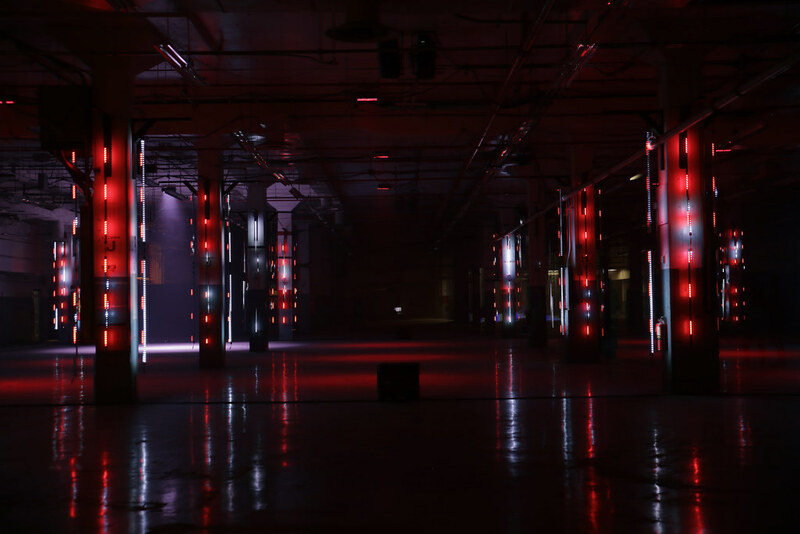 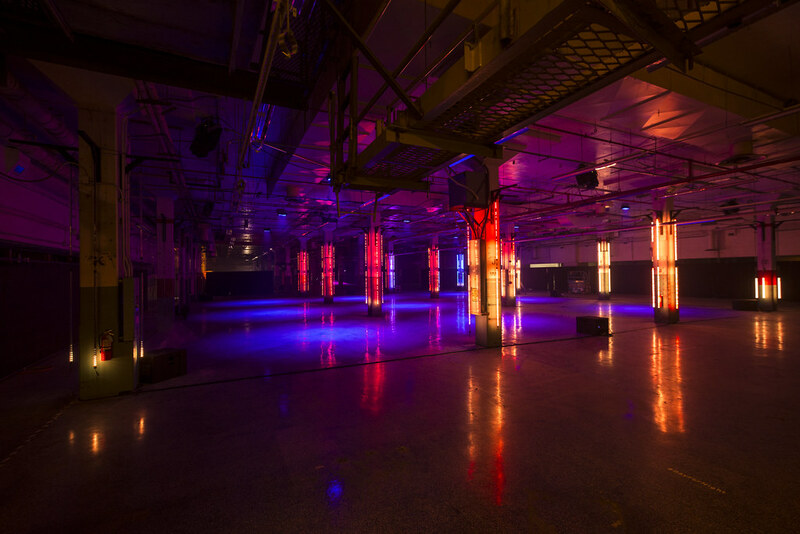 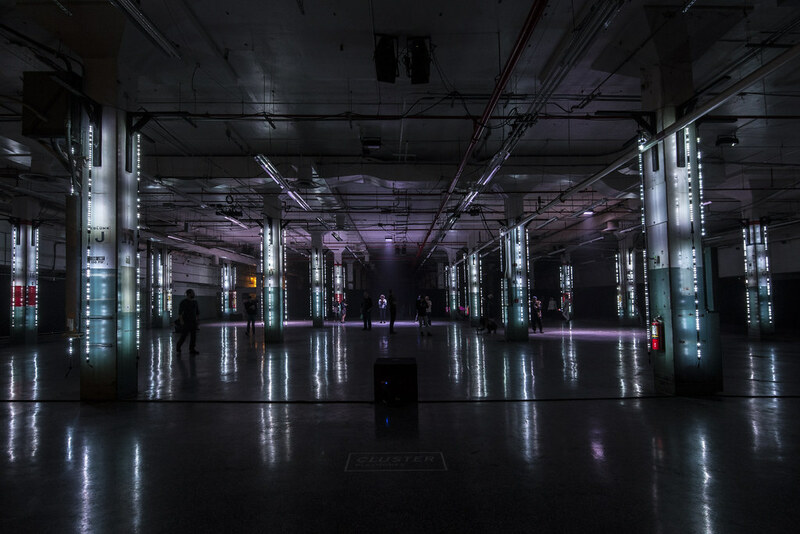 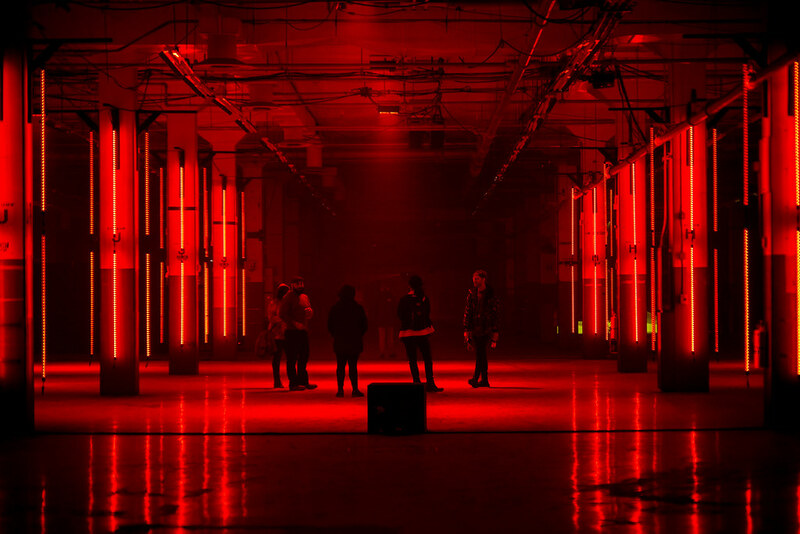 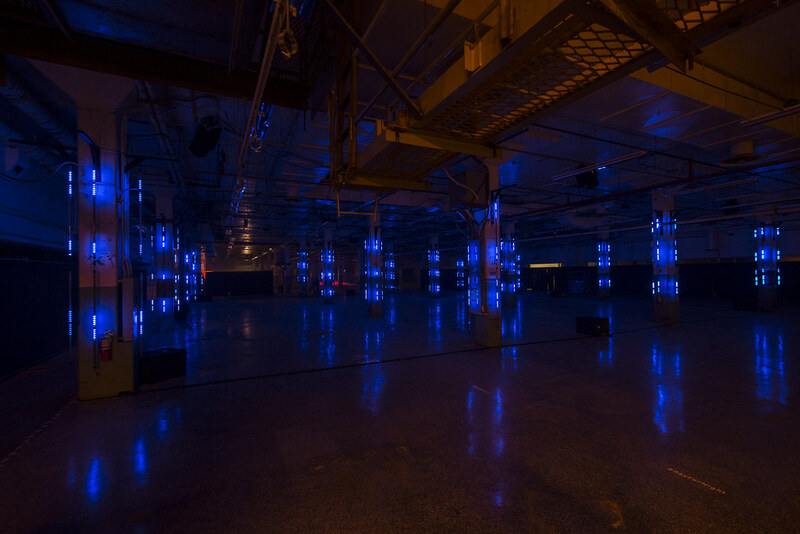 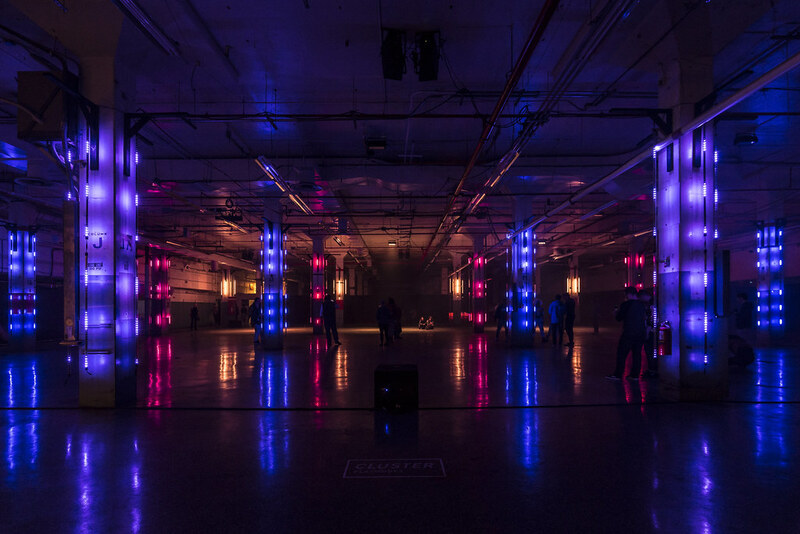 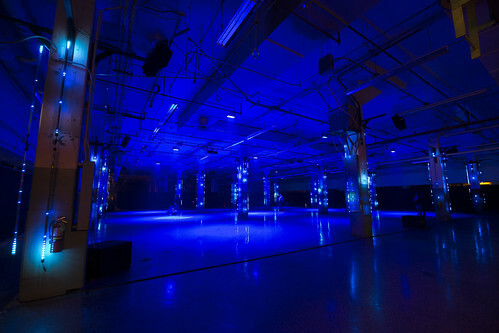 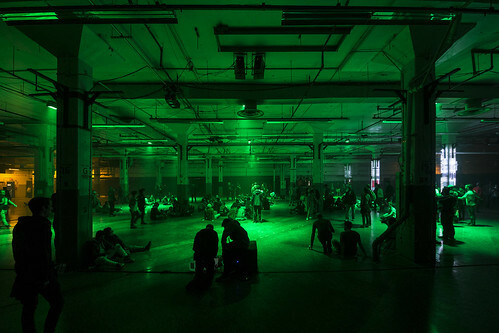 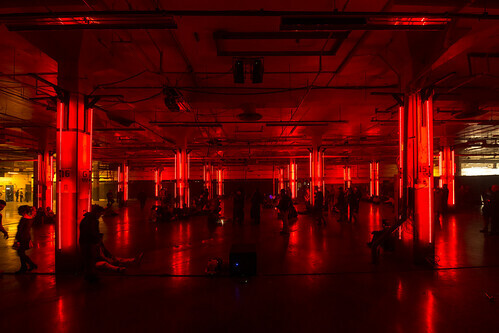 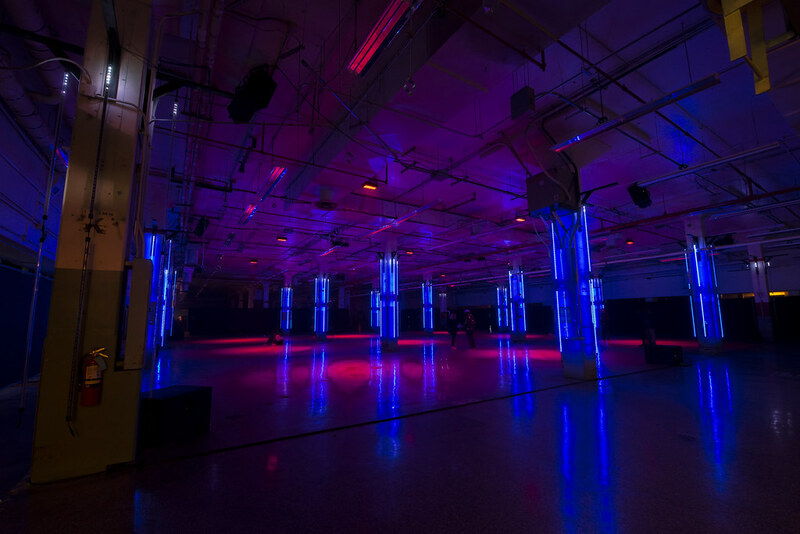 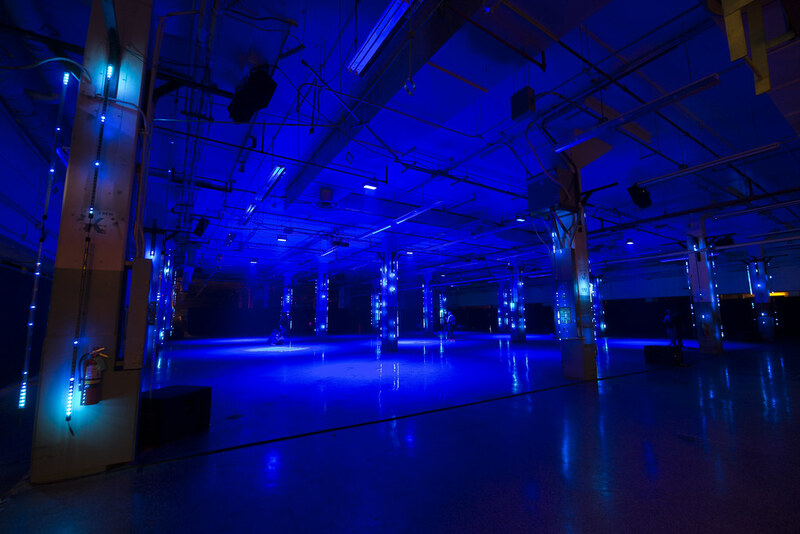 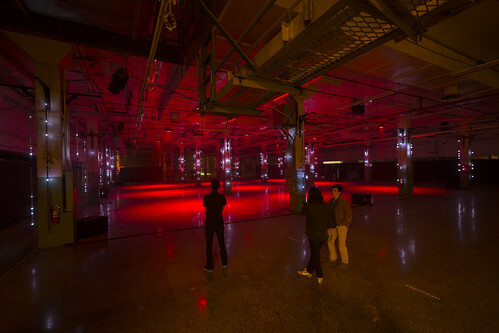 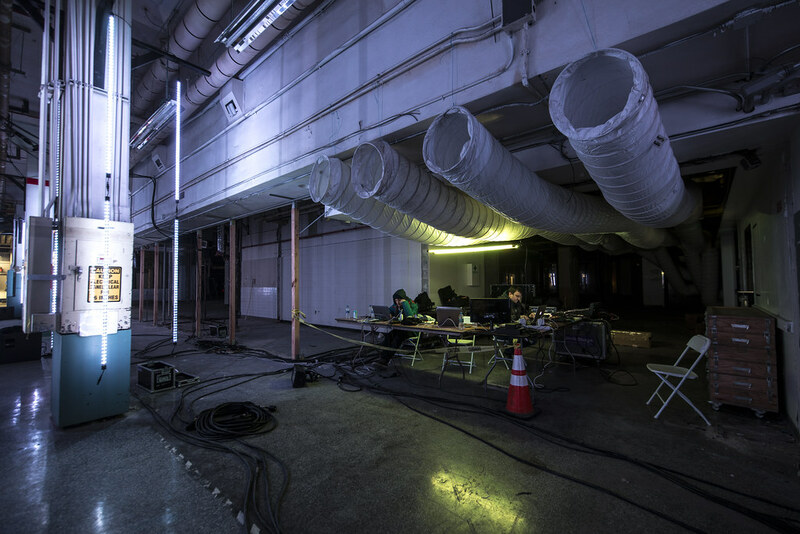 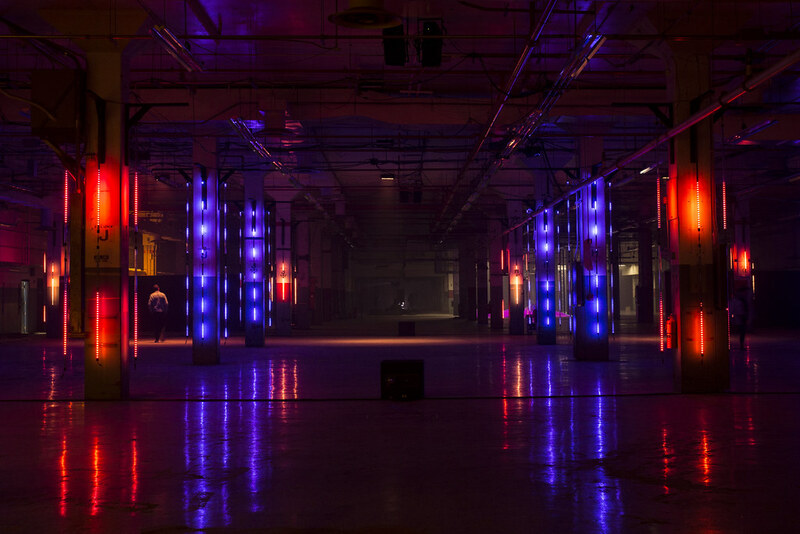 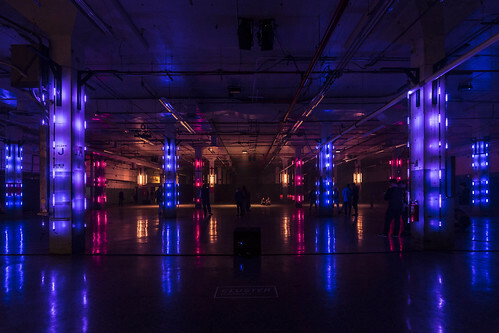 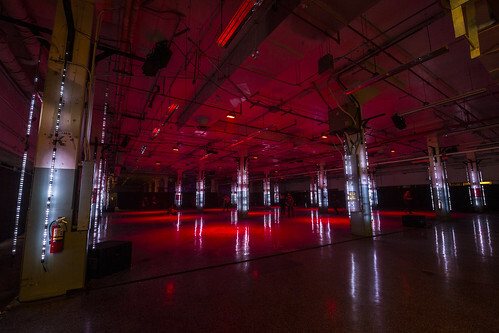 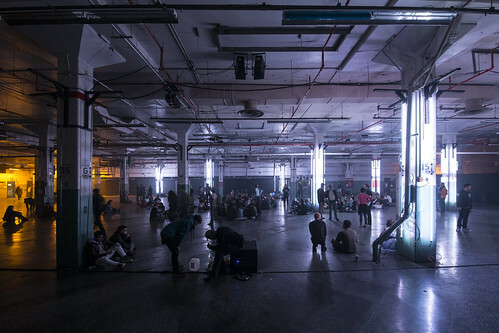 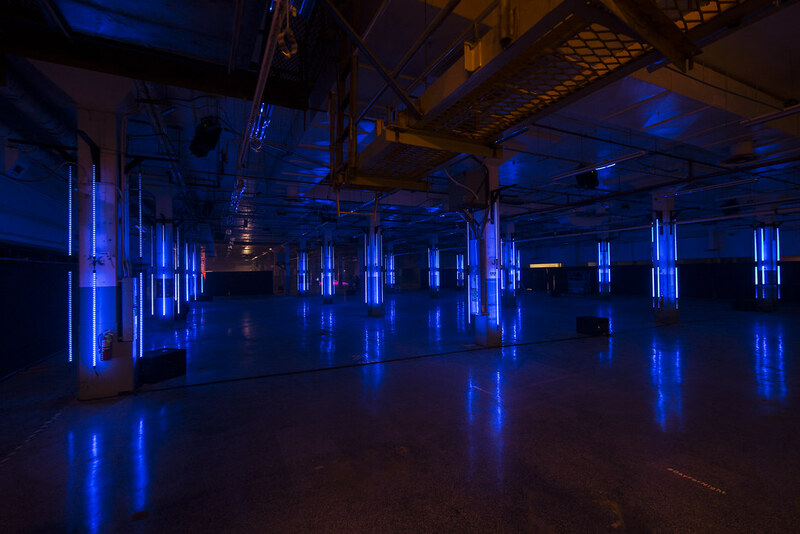 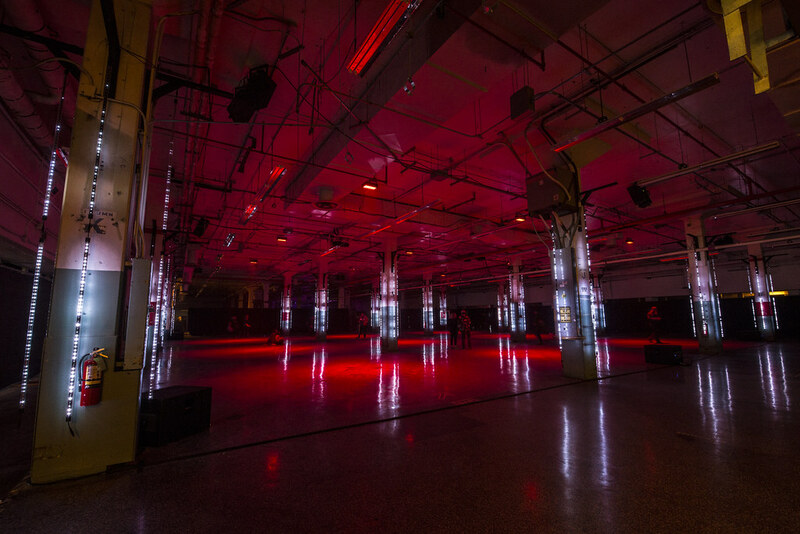 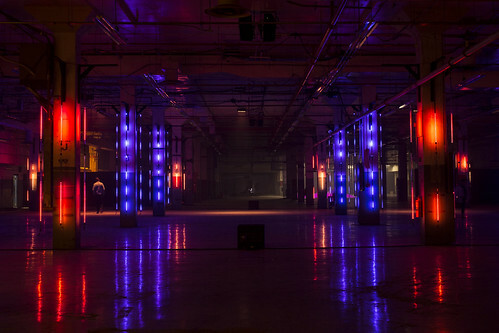 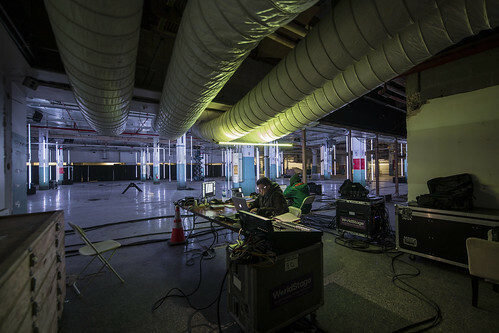 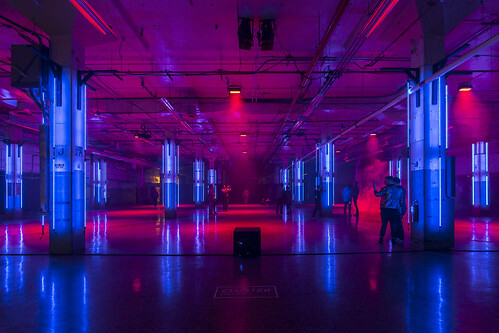 Held at 2017 Day For Night Festival in Houston, Cluster is an immersive audiovisual site-specific installation that explores relationships between space, time and perception. 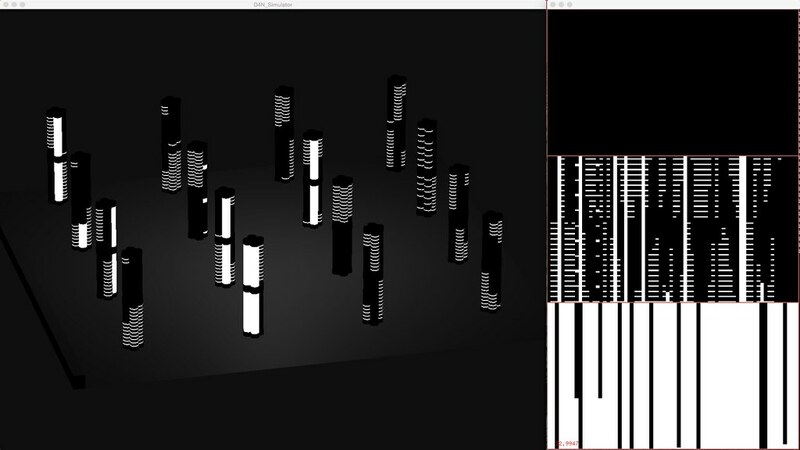 Geometric schematization of architecture using light instruments transforms the space into a container for the abstract language of light and sound. 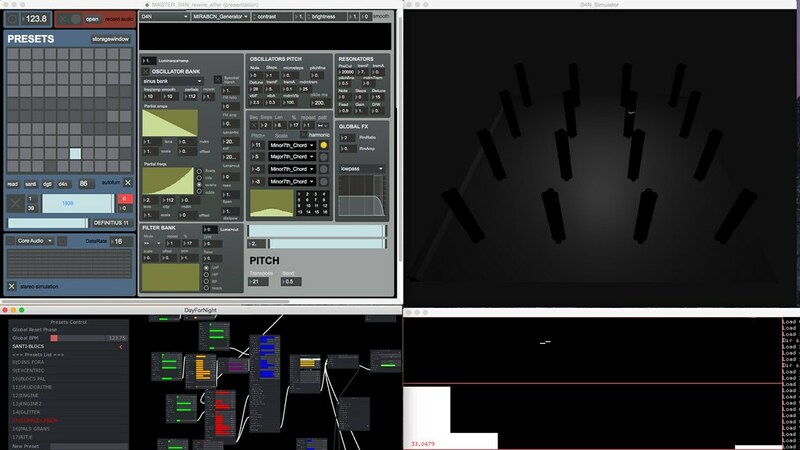 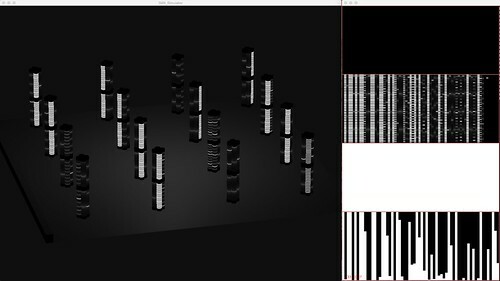 Cluster researches the possibilities of oscillator banks applied to the control of light and sound.  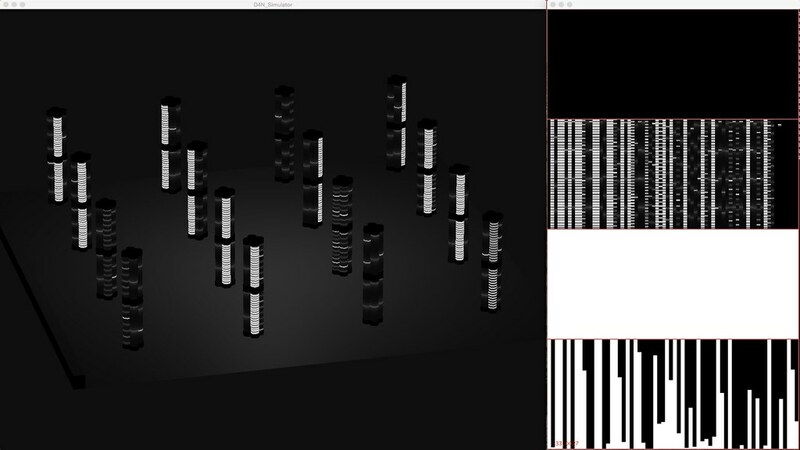 By specifying values of parameters which define the behavior in space and time of transversal waves, a set of video textures is generated. 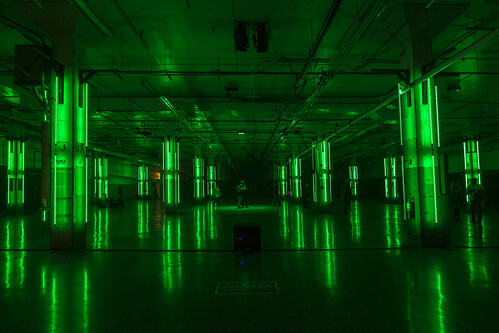 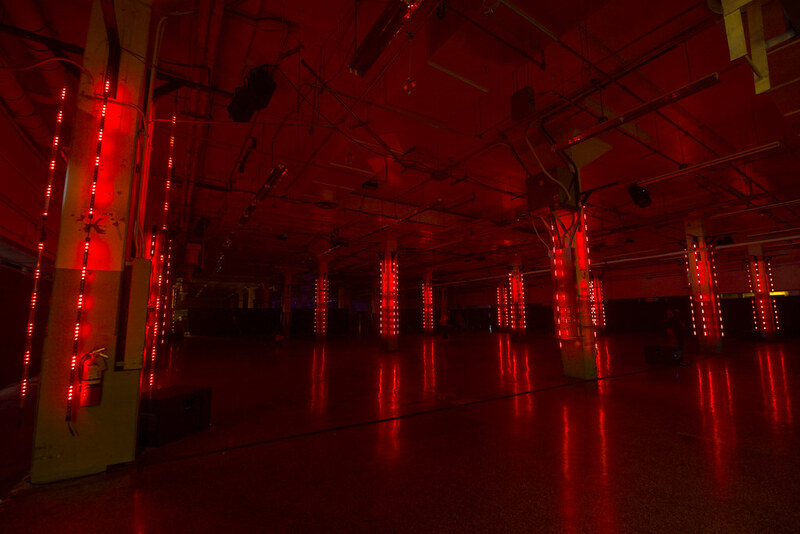 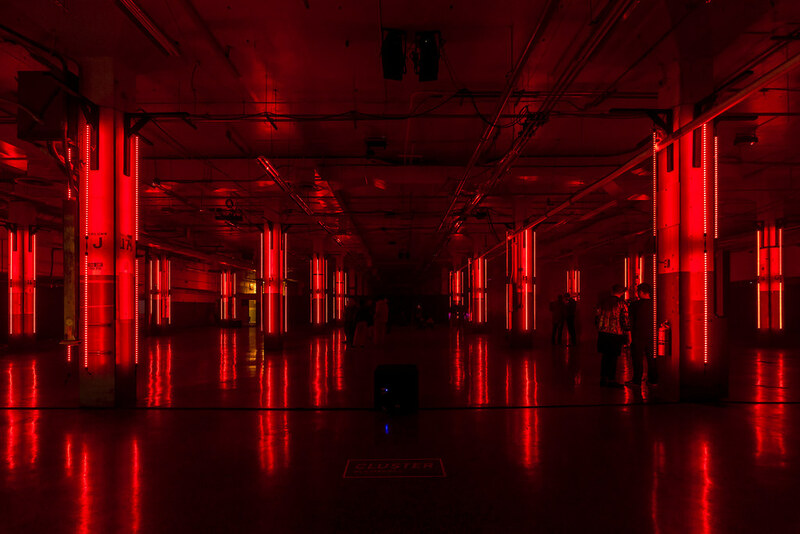 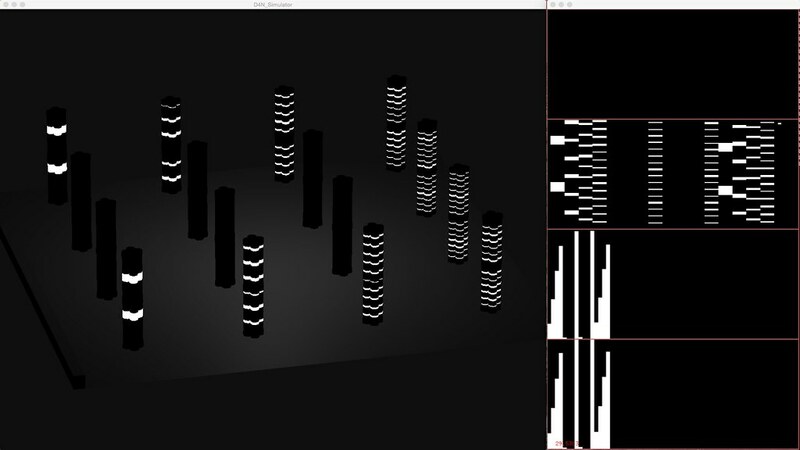 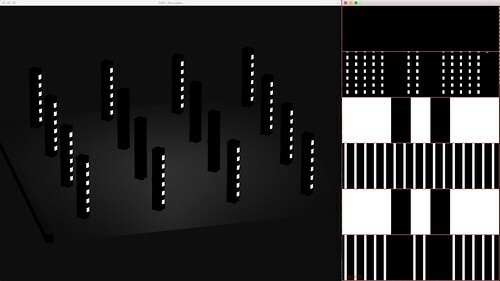 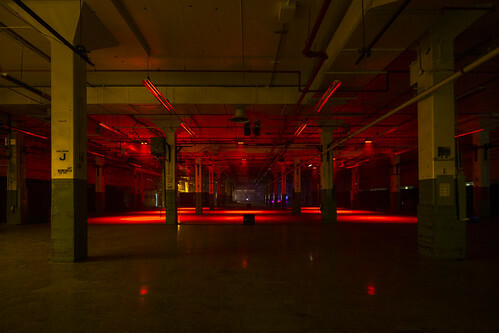 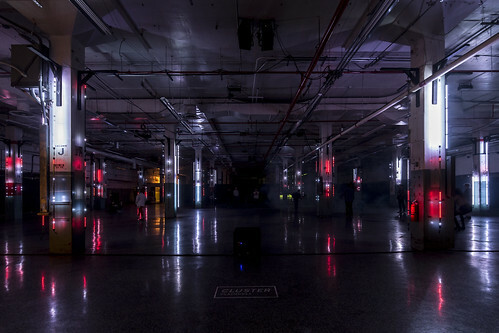 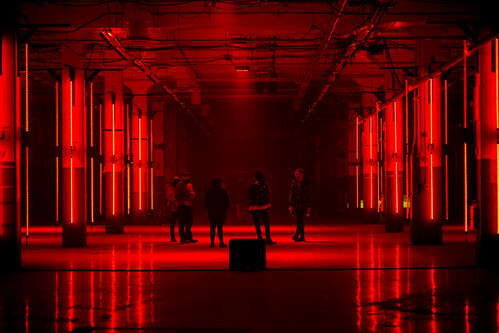 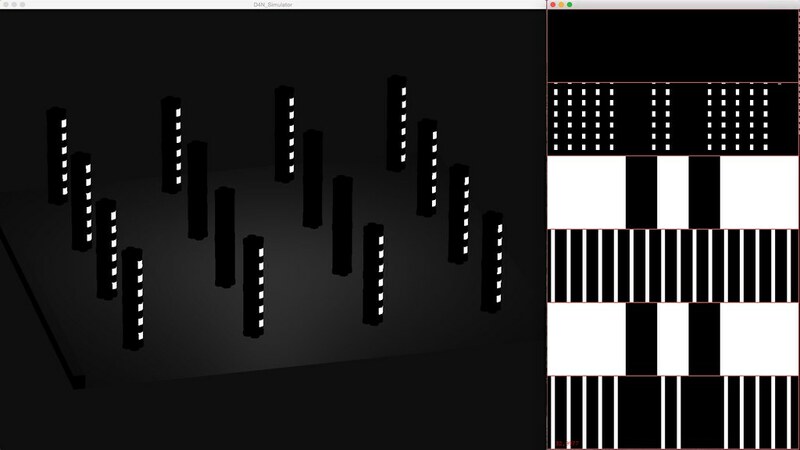 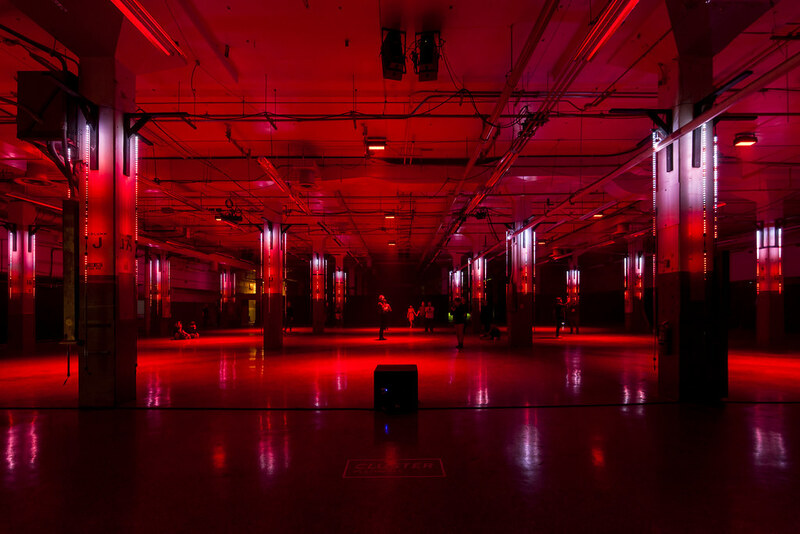 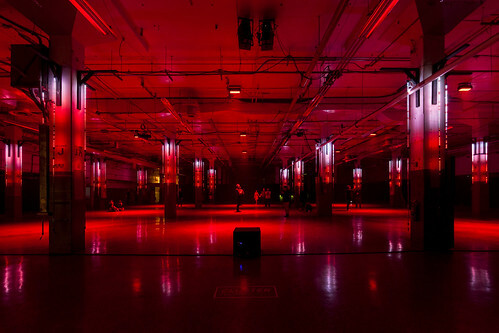 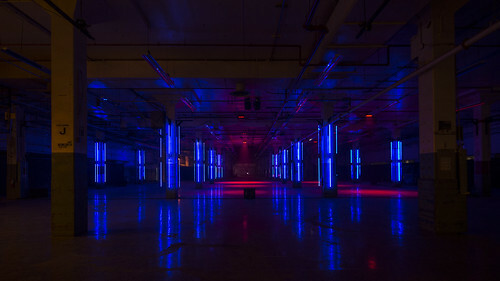 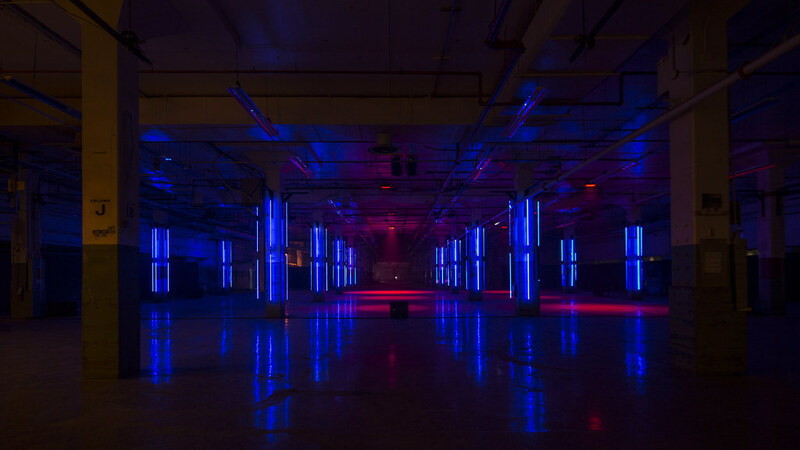 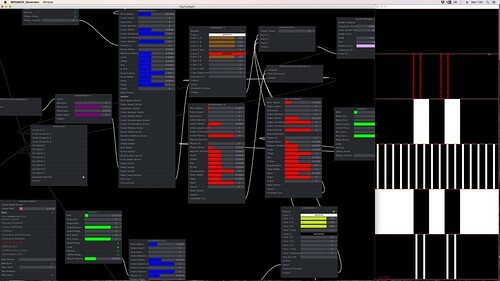 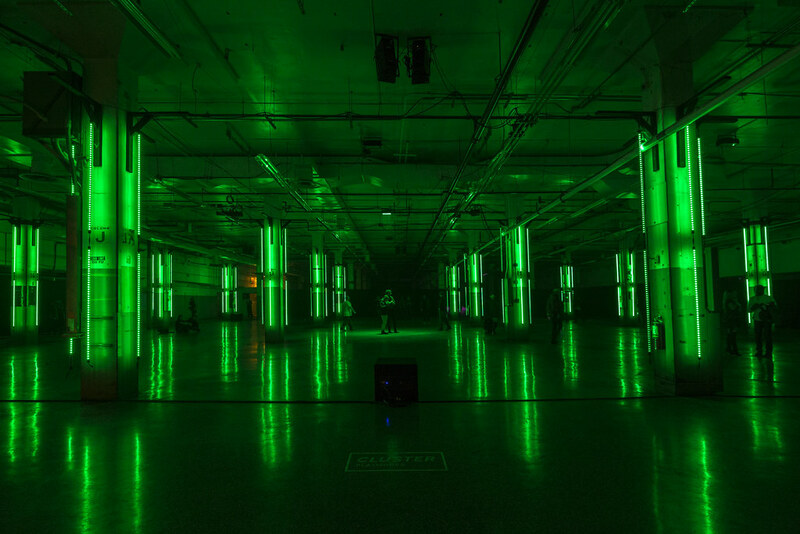 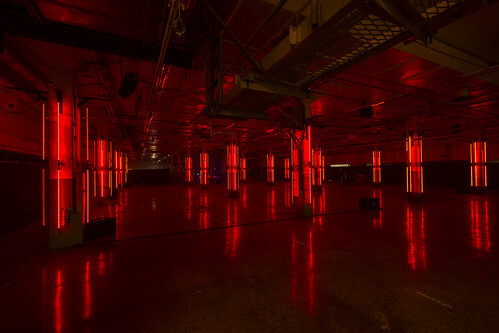 The resulting image is then pixel-mapped to a group of digital LED bars attached to columns in the architectural space. 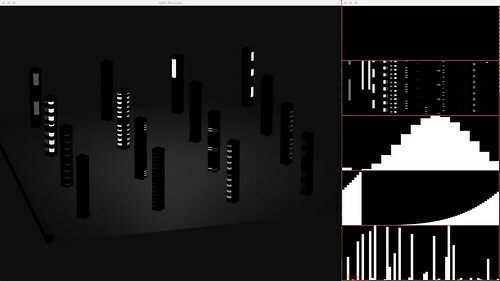 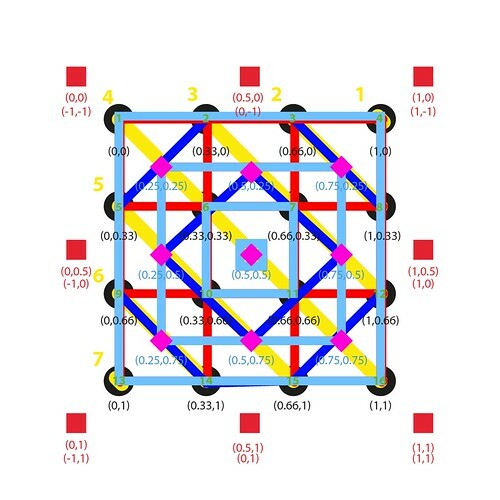 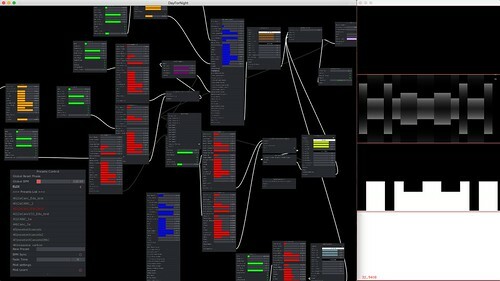 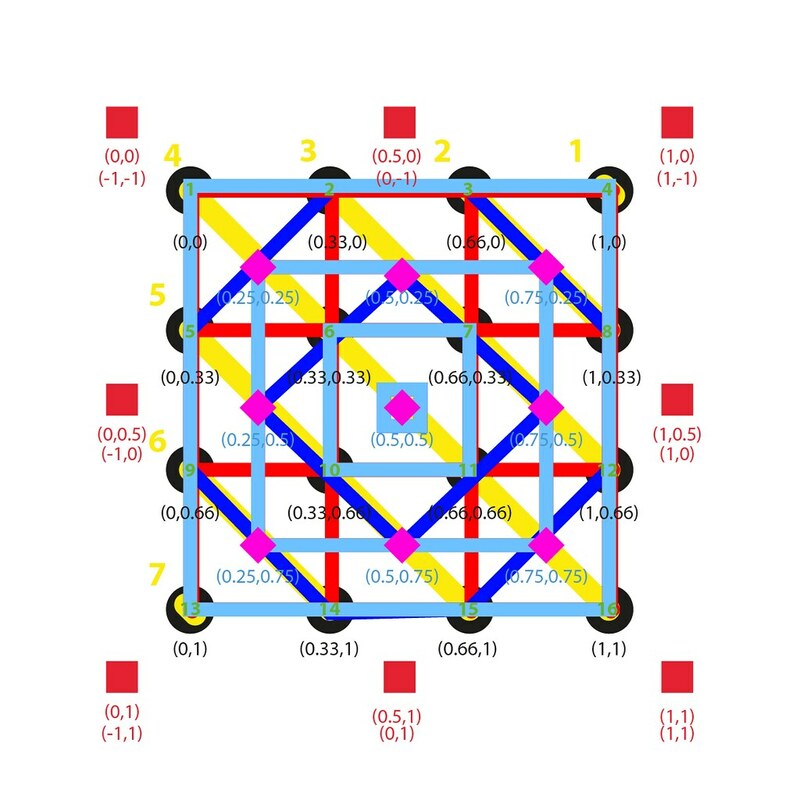 This same video-texture is also fed into a sonification engine which transforms visual contents into sound by analizing luminance pixel by pixel. 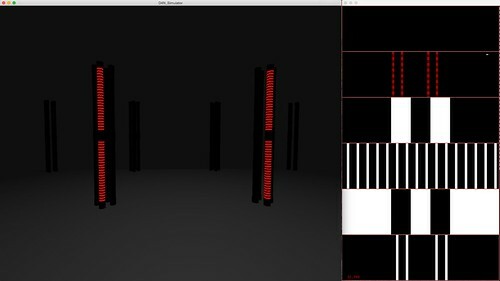 The result of this additive sound synthesis is spatialized so that when a LED/pixel is lit in a specifical spot in space, sound for that pixel is positioned accordingly. The audiovisual discourse is formed by a set of sequential abstract scenes which explore different concepts, for an overall show of around 12 minutes.